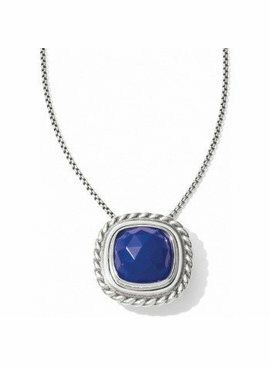 The magic of this beautiful necklace is that you can "click" out its blue lapis gemstone and replace it with another from the Color Clique Gem Collection. One necklace, so many looks! 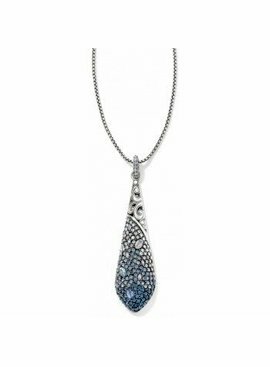 A cascade of faceted blue, grey and white Swarovski crystals makes this elongated teardrop pendant shine brilliantly. Beautifully versatile, too, from denim to dressy. In a setting that resembles fine jewelry, a cushion-cut Swarovski stone sparkles like a diamond. 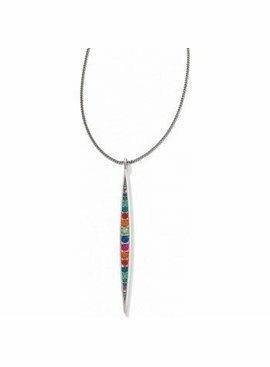 Simple and sleek in design, this jewel can be dressed up or dressed down. 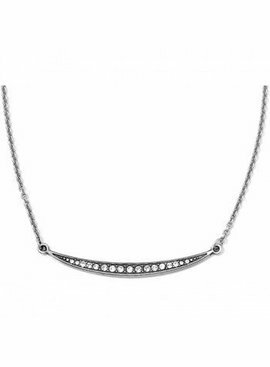 Inspired by the glistening, tapered shape of icicles, this necklace features a streamlined, elongated marquise that sparkles with channel-set Swarovski crystals. Reverse it, and our classic Contempo motif lends a different feel. 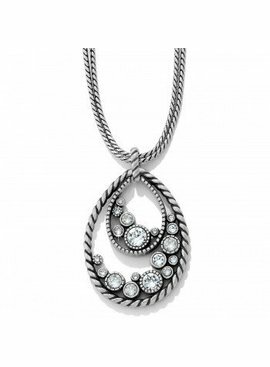 Inspired by the glistening, tapered shape of icicles, this necklace features a slightly curved, elongated marquise that sparkles with brilliantly-hued Swarovski crystals. Reverse it, and our classic Contempo motif lends a different feel. 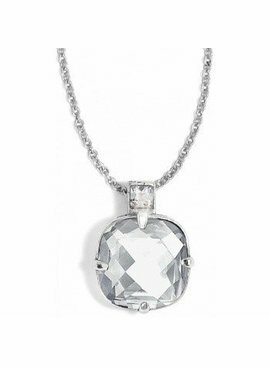 New to one of our most coveted collections is this Halo Convertible long necklace featuring a teardrop pendant sprinkled with clear Swarovski crystals. Wear it long or short. 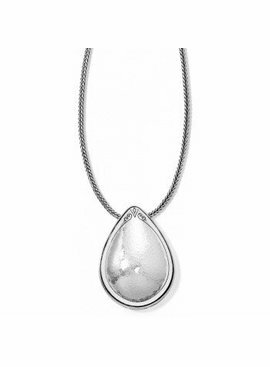 This statement teardrop necklace features a hammered texture on one side and pierced geometric motif on the reverse. Simple and modern, hanging from a wheat chain. 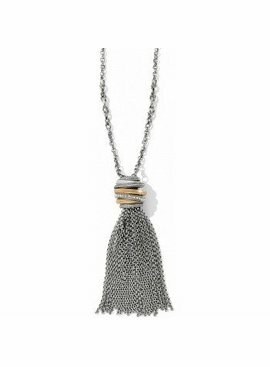 An orb of stacked, mixed metal "rings" tops this swingy tassel, mixing interesting textures and graceful movement. Complements the pieces in our Neptune's Rings Collection. 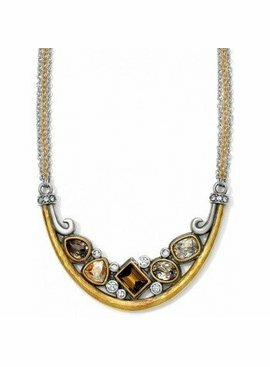 Mixed metals and a warm palette of topaz and golden-hued crystals in bold shapes add sophistication to this fresh take on a long "collar" necklace. 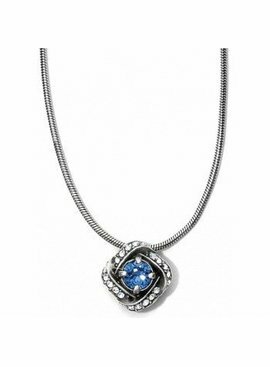 With the look of fine jewelry, this Eternity Knot necklace features both prong-set and channel-set crystals in a design that is at once classic and modern. 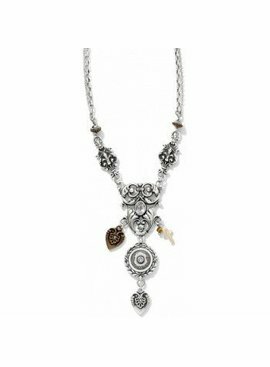 With a slide clasp, this necklace is adjustable! 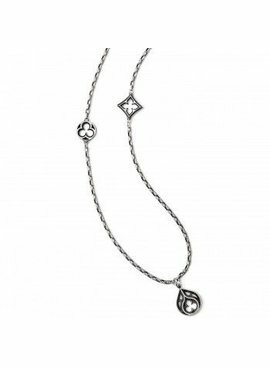 Following a trip to Venice, Italy, Brighton Designer Carmen Radulescu was inspired to create the Ferrara Lorenza Collection with motifs echoing the Venetian Gothic style of architecture.